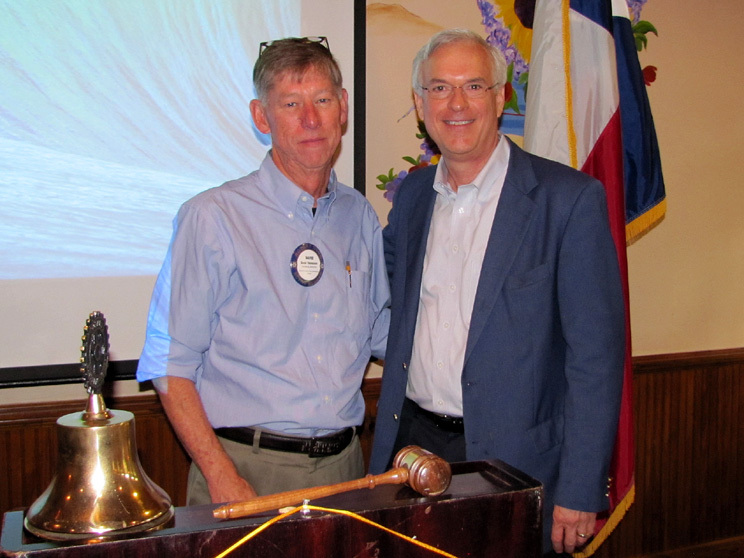 Pictured here are Rotary President David Thompson with Judge Robert Eckels. Prior Harris County Judge Robert Eckels and now President Texas High Speed Railway spoke to Willowbrook Rotarians about plans for a high speed "bullet" train between Houston and Dallas. Judge Eckels said he was working with the Japanese bullet train builder to plan a similar service for Texas. He described three possible routes between these cities but the alternatives for actual terminal locations are still very open for discussion.